Donald Trump LGBT Republicans CPAC Log Cabin Republicans | Circa News - Learn. Think. Do. 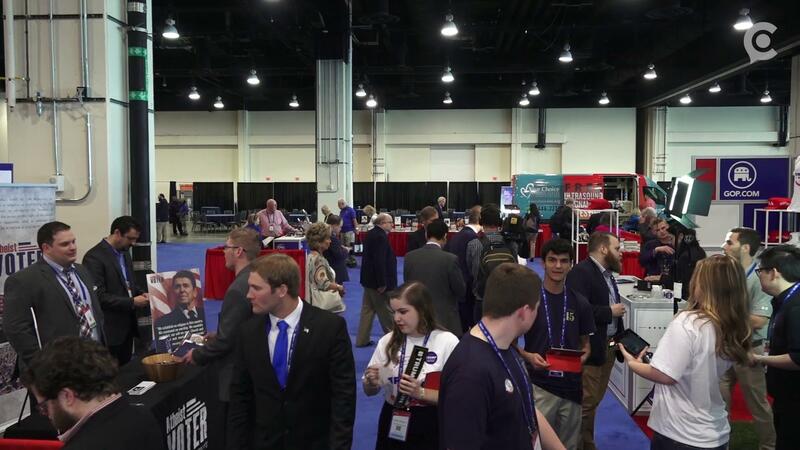 WATCH | Log Cabin Republicans are feeling at home at CPAC, and they say President Trump has helped them increase their membership. The conservative movement has not always been kind to the LGBT movement. In 2015, the Conservative Political Action Conference -- one of the largest annual gatherings of conservatives -- was accused of banning the largest conservative LGBT group, the Log Cabin Republicans, from the event. But things have come a long way since then. “I’m glad to say our sponsorship this year seems to be a non-event," Log Cabin Republicans President Gregory Angelo told Circa. "This had been what we were hoping for and wanted all along -- to show Americans in general that Log Cabin Republicans and LGBT conservatives are a thing and are an important part of the fabric of this country," Angelo added. And this year, it has gone beyond just sponsoring the event. “Log Cabin Republicans was part of the many other organizations ... that assisted with the planning of this year’s CPAC," Angelo said. Angelo believes that President Trump, like CPAC, is embracing the gay community. And Trump has helped grow the Log Cabin Republicans' membership. “We’ve seen a curious new contingent emerge at Log Cabin Republicans -- people who have been inspired to become a part of Republican politics as LGBT individuals specifically because of President Trump," Angelo told Circa. While the group is bullish on Trump in general, the recent decision to rescind Obama-era guidance on transgender students' bathroom privileges did not sit well with the organization. “Our preference would have been that Trump would have maintained President Obama’s transgender guidance,” Angelo said. And just because CPAC and the Log Cabin Republicans are getting along doesn't mean that there wasn't controversy surrounding a member of the LGBT community at the conference. Organizers this week rescinded Milo Yiannopoulos invitation to speak over comments the former Brietbart editor made about pedophilia. But for the Log Cabin Republicans, this controversy is just a distraction.